− four = one Required Please enter the correct value. The three top penny stocks to watch in March 2019 had prices soaring up to 112% in a single week. Because penny stocks, by definition, sell for $5 per share or less, even small per-share moves can send the best penny stocks up by great percentages like this. Our picks for the three top penny stocks are examples of not only how much penny stocks can soar in small amounts of time, but also the kinds of industries and new events that can propel stocks upward. Here's our first penny stock to watch, which analysts predict could shoot up to 400% of its current value this year. Top Penny Stocks to Watch in March 2019, No. 3: Achieve Life Sciences Inc. The third best-performing penny stock of the week is a healthcare company, Achieve Life Sciences Inc. (NASDAQ: ACHV), which soared nearly 90% in one week to close at $3.30. Achieve Life Sciences is in the biotech industry, and its main mission is to perfect a pharmaceutical solution for people who want to quit smoking. The company has been in the midst of a phase 1/2 trial of cytisinicline for smoking cessation. It recently announced a successful trial where subjects could quit without need of intensive behavioral support. The stock currently sells at $3.18, but there is still potential for the stock price to rise significantly this year. Analysts give it a one-year price target of $12. The prospects are strong with ACHV because it's a drug in the testing phase. Biotechnology penny stocks frequently move on announcements of clinical trials and other results. If results are good, the share price may spike. But if results fall short of expectations, the share price may plummet. Because penny stocks are affordable, promising biotech companies can provide an inexpensive entry point that can reward investors later on. 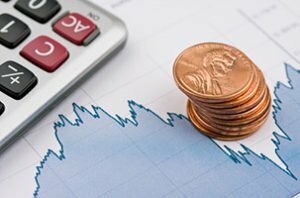 Top Penny Stocks to Watch in March 2019, No. 2: Zosano Pharma Corp.
Zosano Pharma Corp. (NASDAQ: ZSAN) rose more than 106% in one week to end at $4.54. It has continued to climb since then, to the current share price of $5.15. This pharmaceutical company is developing a drug called Qtrypta for treating migraine headaches. Recently, the company reported results from one-year trials where 81% of migraines treated were relieved in as little as two hours. Given the strength of the results, Zosana plans to submit a new drug application (NDA) in the last quarter of the year for an intracutaneous delivery system for the drug. The successful trial, in addition to news of a new NDA could pump the stock even further. This week might not even be the only time ZSAN strikes triple-digit gains, having some longer-term potential with a one-year price target of $19 – that's a 280% gain.